Another nice looking map for the index! It's the work of Ellisa Mitchell, an illustrator who also worked on interior maps for David Weber and for the Wheel of Time Roleplaying Game. 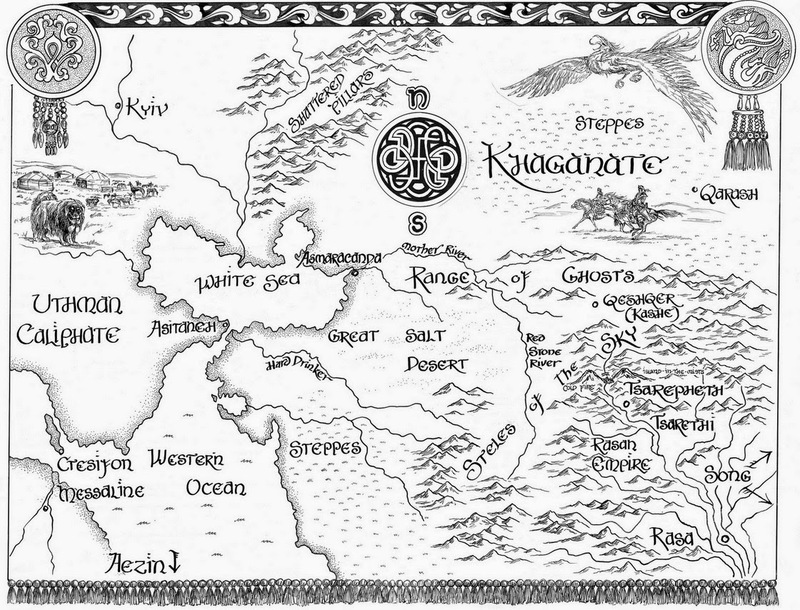 The map is included in all three books of Elizabeth Bear's Eternal Sky series (Range of Ghosts, Shattered Pillars and Steles of the Sky).